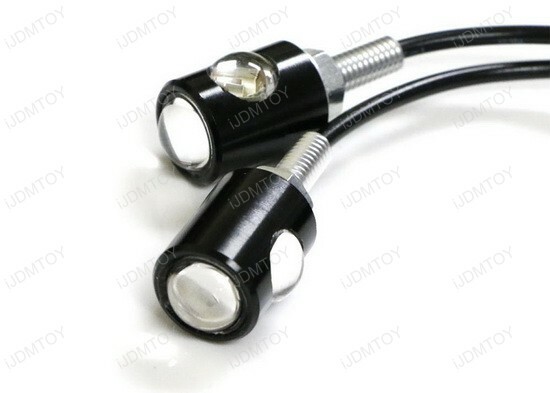 This page features a pair high power Bolt-on LED lamps for both license plate illumination and brake/tail lighting, fit for any 12V cars, motorcycle, bike, ATV and more. 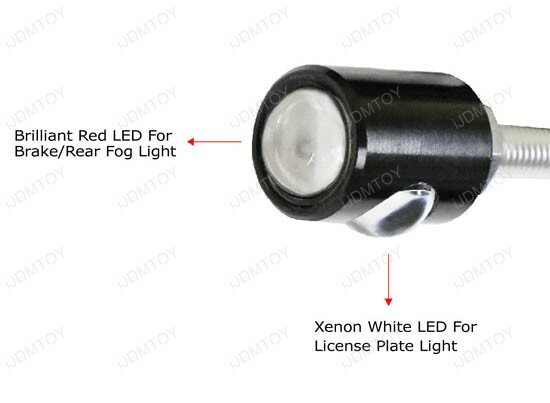 This LED lamp is powered by 2 pieces 1.5W each LED emitters, one lights down for license plate and one lights back as tail/rear fog light. 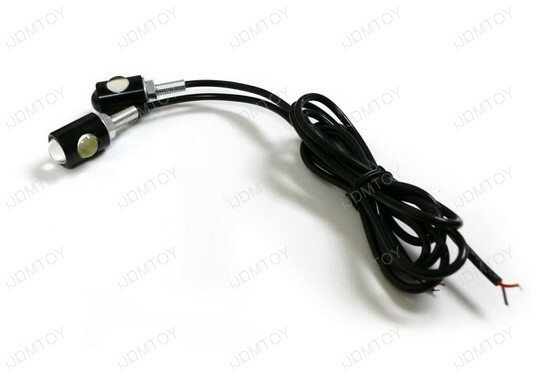 Each LED light is measured at approximately 0.63" in diameter and 1.13" in length and the wire is measured at 2 feet long. A pair (2 pieces) high power Bolt-on LED lamps. LED license and tail lights seem bright, wires are incredibly small but it functions and will give more light than I had before. 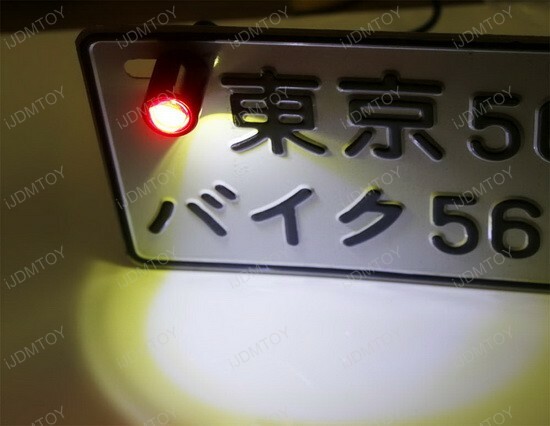 This set of bolt-on LED license plate and rear fog lights worked as expected on my bike. 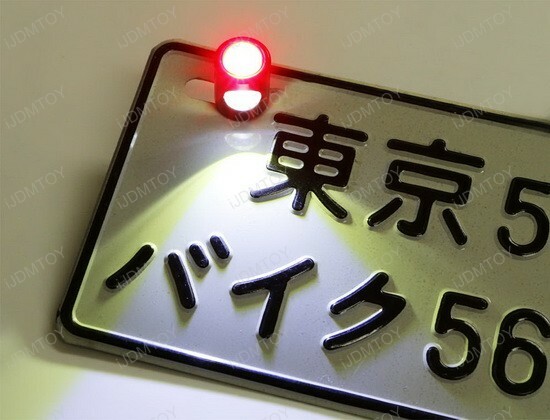 Bought these to replace the old, dim lights on my '94 Toyota Pickup. 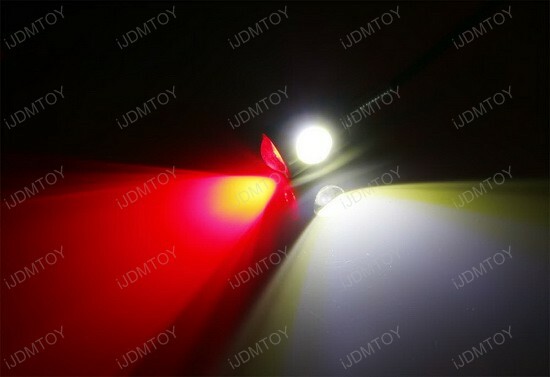 Easy to install and VERY bright!! What a great idea.